What do we do with "guilt"? What do we do with remorse and uncertainties for the past? Should we live with no regrets? Is that the best way? Or should you feel troubled but try to ignore these feelings? Or do you disregard them and move on? Questions, questions. 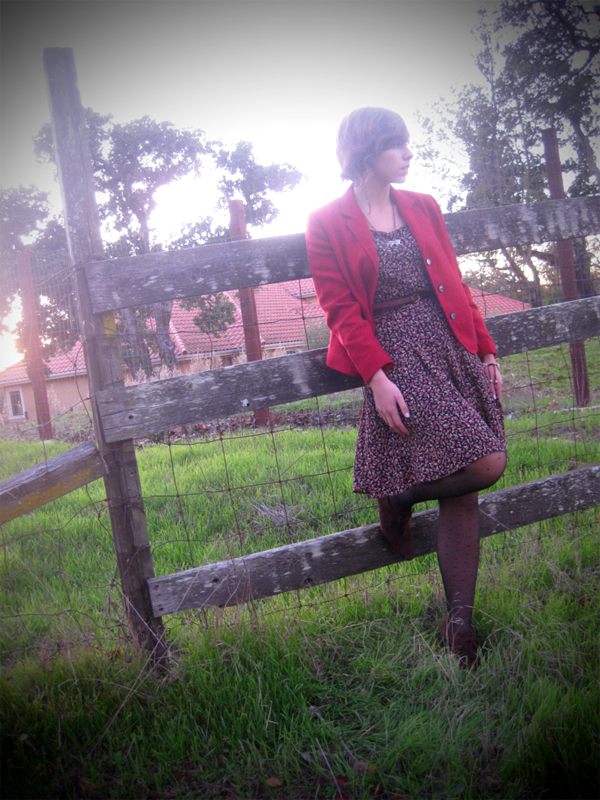 My mom had a box of her old vintage clothes from when she was younger, and I went through it and found a few things - including this red blazer. 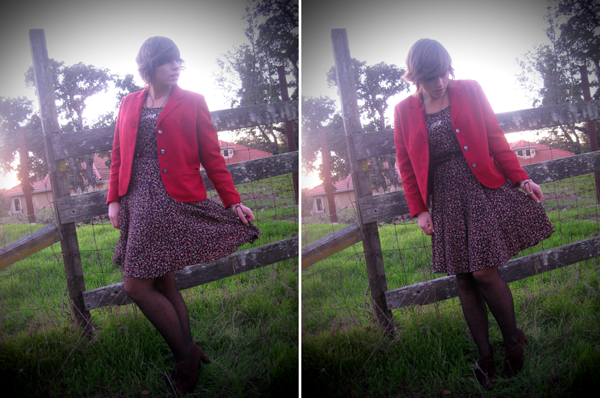 It goes with a skirt suit set, but I liked it alone with this dress. Also! These are probably the highest heels I've worn to school - not sure how I feel about it. Some bloggers have said heels are not to be worn in the school setting, but some say it shouldn't matter with someone's own personal style. I feel as though I agree with the latter. 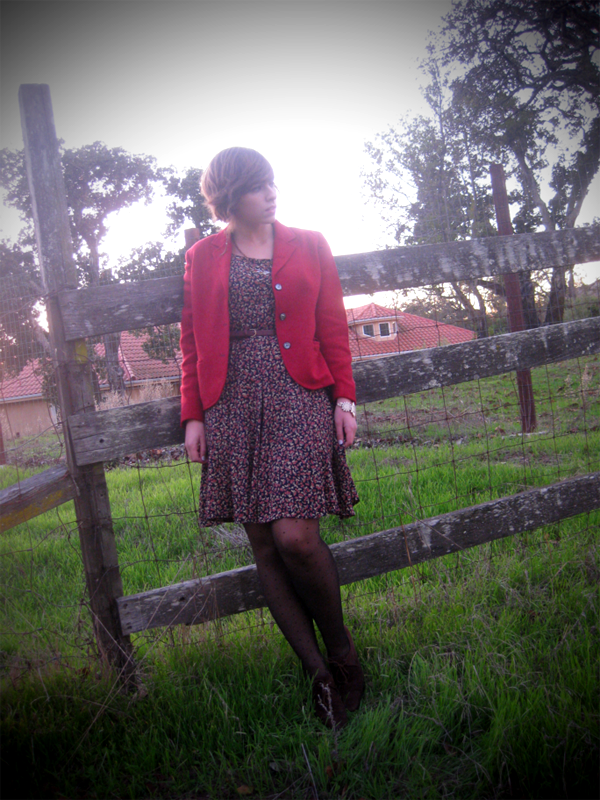 vintage late 50s/early 60s blazer: mom's closet! 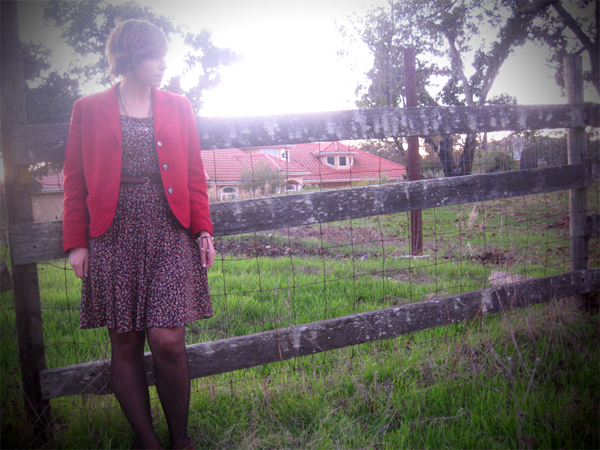 Oo cute jacket and dress! I wish I had time to write about your first paragraph, but all I can say is that going through life without messing up is not going to happen. It's learning how to learn from mistakes in the past to avoid them. You look positively lovely-not that that's anything new. Guilt. Meh. It truly is the green monster. That last picture remind of when I was in Scotland. We stopped at a place overlooking a lake and there were hundreds of them! It was pretty cool. As for what camera I use, it's your run of the mill canon point and shoot (powershot sd600 to be exact), 4 years old and barely holding on still. I photoshop the bejesus out of those pictures. Proof you don't need an expensive camera to take nice pictures! I wish I would have kept a lot more of my old finds from the Sal Army and St. Vinnies from the late 70s and early 80s. 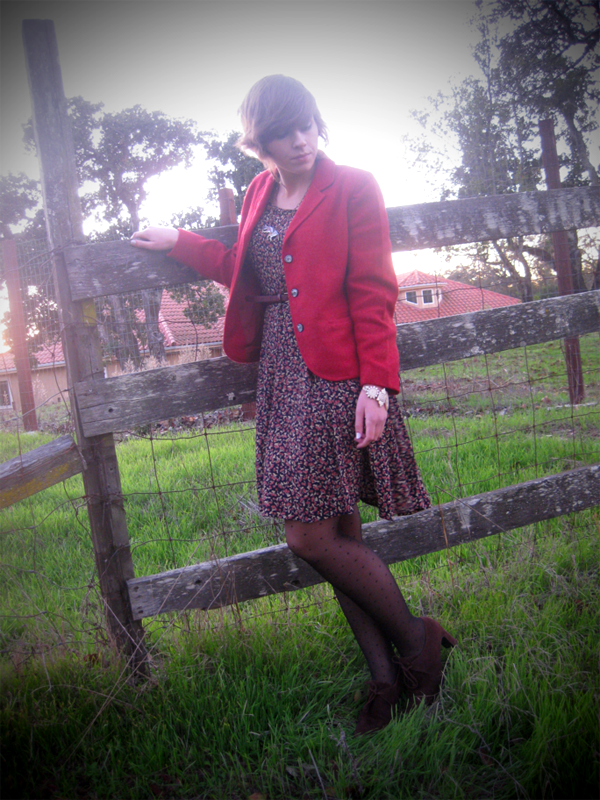 That was pre-Ebay and vintage clothes from the 40s through the 60s could still be found. 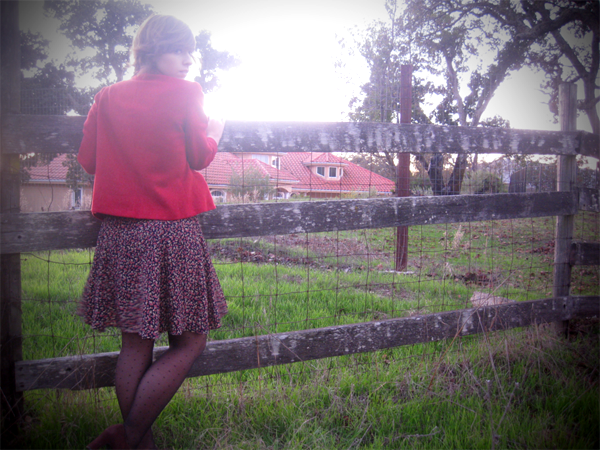 I had about 6 cashmere cardigans (round-neck, waist-length in various pastel colors) and lots of various Pendleton woolens (skirts, jackets and suits). I remember paying $1.50 for a cashmere sweater!! You are officially the 3rd I have found! 1 in Ireland, 1 in New Zealand, me in NJ and now you in CA! Oh, how I love that smexy scarf.